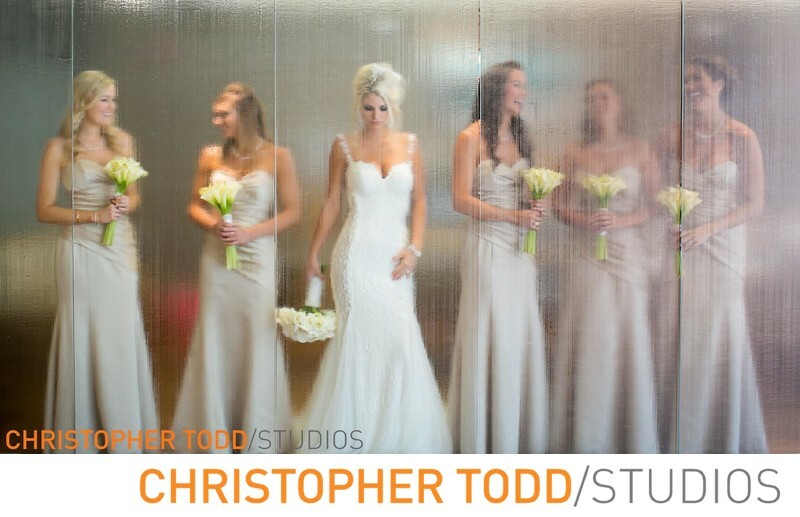 At Seven Degrees in Laguna Beach we took the bride and put her in the lobby in front of the glass and had her bridesmaids behind it. Adding a blurred effect. The bride is wearing a designer gown. Location: 891 Laguna Canyon Rd, Laguna Beach, CA 92651. 1/80; f/2.8; ISO 400; 35.0 mm.